Let the countdown 'til Christmas continues with DAY 12! 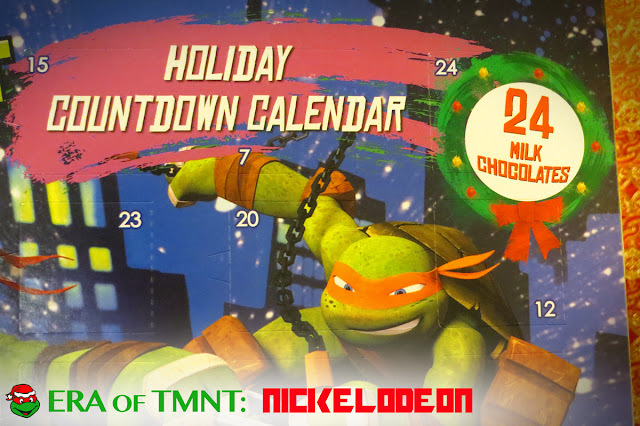 Is it weird to feature a TMNT advent calendar on my very own TMNT advent calendar? The Sewer Den has lots of photos and crafty writing, but this one has chocolates! 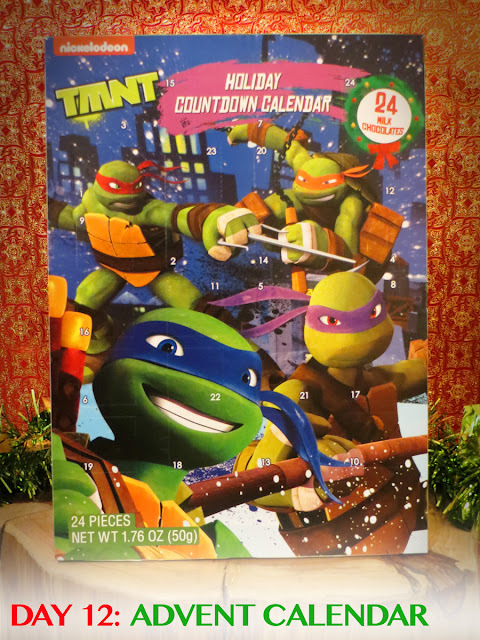 In 2014, I covered a TMNT advent calendar from the United Kingdom. It was similar shape and showcased similar artwork. The chocolates, however, were very random. None of them were even related to TMNT. I dreamed of pizzas, weapons & turtle heads, but instead received candles & horses. Each day from December 1st through 24th, I went through the ritual of revealing another nonsensical chocolate. A heartbreaking experience, friends. This year, I have a new advent calendar with new chocolates. A 2015 version with a fresh design starring Nickelodeon's Turtles. Produced for the American public, I hoped actual TMNT-themed sweets would be inside this one. What if December 1st revealed another false promise? I nervously poked open the cardboard flip, staring at Turtles with an apprehensive eye. Don't break my heart again, dudes! 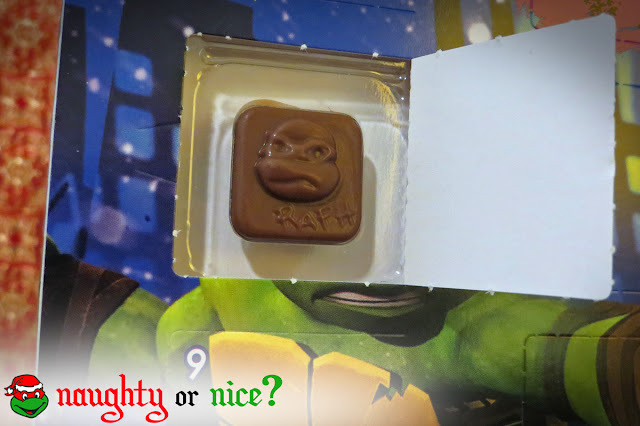 The 2014 TMNT advent calendar made a terrible gift. But, this new 2015 will make you merry. The mini morsels of chocolate have undergone a mutation. They're actually TMNT-themed! Not a shocking concept, but somehow this obvious novelty fell through the Christmas cracks last year. Praise the sewer! 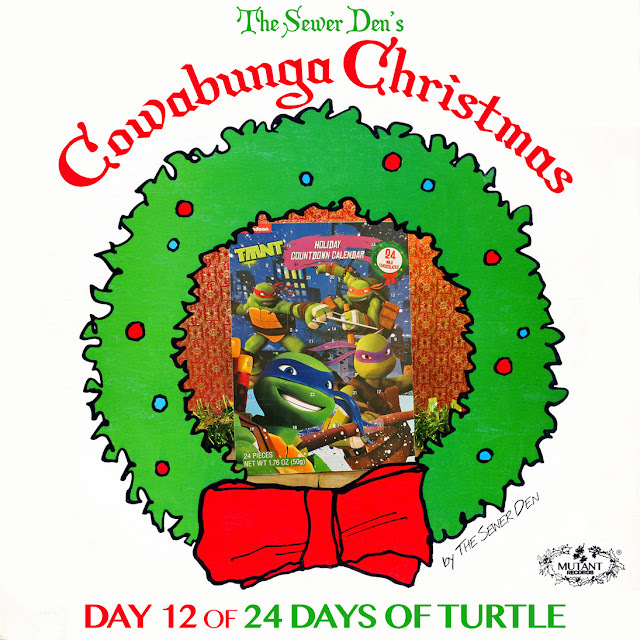 Check back tomorrow for DAY 13 of Cowabunga Christmas! Can't wait until then? Take a trip with the Ghost from Christmas Past to see what The Sewer Den put on display on December 13th in 2013 and 2014.